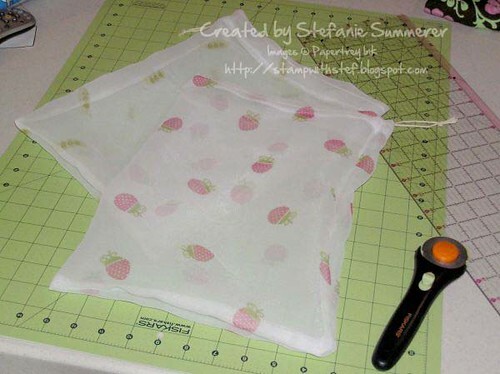 What do you do when one of your kiddos will be leaving for camp on her birthday? You make birthday cupcakes for sharing with her friends of course. Randa, our lovely middle daughter went off to camp this weekend and thanks to the brilliant suggestions by Anitra and Lenetta (who, after seeing my sugar fireworks, thought that the technique would work well for making flowers) I did just that. It took me two tries to get these because, once again, I didn't cook it long enough and they were droopy. People, when will I learn my lessons? My guess is never. Jeff (who is by far the best baker in the family) whipped up a batch of banana cupcakes and then dipped them in a dark chocolate ganache. 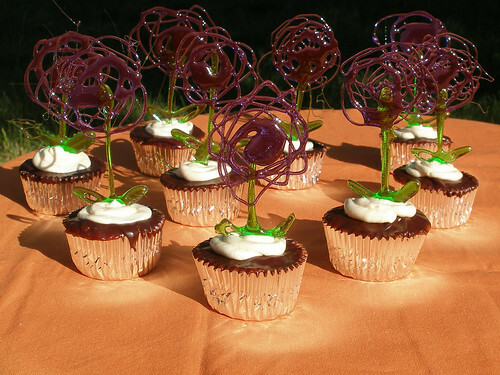 I piped little spirals of vanilla buttercream on top because it seemed to make the leaves stand out more. 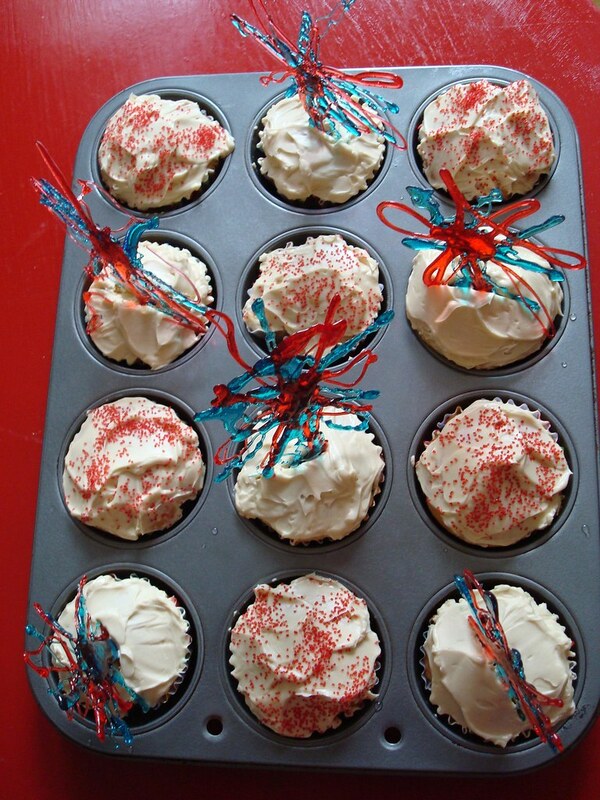 Also, hello, piping instead of frosting cupcakes... awesome and wonderful. I may never frost another cupcake again. When it comes to making these guys, luckily I remembered to add about an inch of stem below the leaves, which helped to anchor them when I shoved them in the cupcakes. 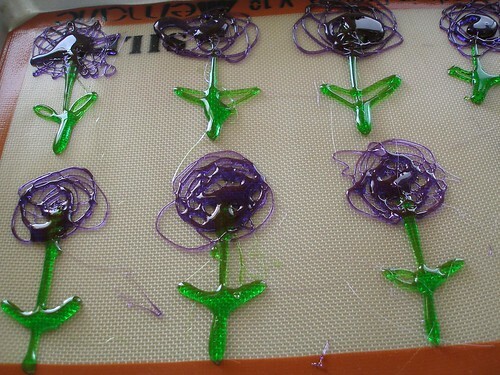 They remind me of little kids' drawings of flowers. Since you can't control exactly where the sugar's going to fall, there's a messy simplicity that is really fun and sweet. Recently, Jaden's favorite movie to watch is The Triplets of Belleville. I wouldn't necessarily recommend it as a kids' movie, though. It's really dark and weird and well, yah, you'll have to watch it yourself (plenty of it on youtube). But, what can I say. All of our kids love it too. 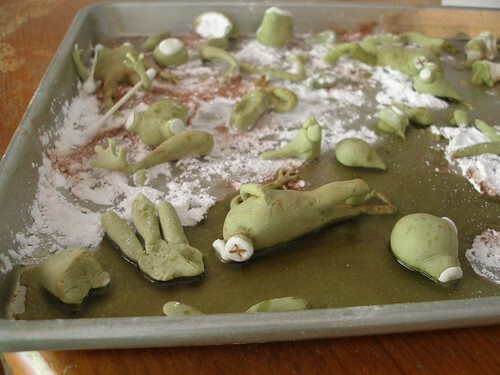 We all sat down to sculpt them out of gumpaste, but Jenny was the only one who was able to make anything presentable. My frogs were so ugly that I squashed all of them and made tadpoles instead. And even those managed to look more like sperm than tadpoles. 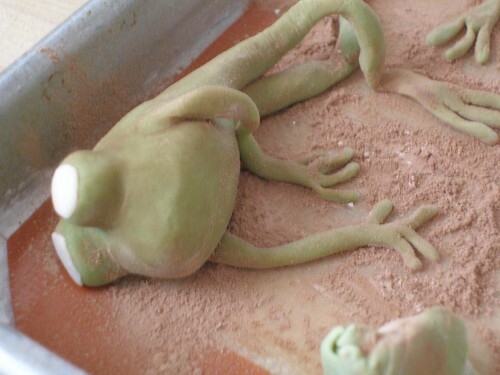 Aurora's attempts were a bit better, but still, Jenny kicked our butts on the frog sculpting front. 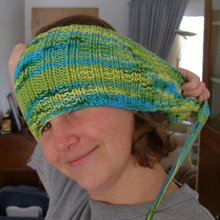 Then again, she's awesome like that (in a very 'perfectionist, keep going til it works' way, while my personal style is more along the lines of 'meh, good enough'). And guess what, I've got a Don't Do What Donnie Don't Does for you. Don't leave a bunch of gumpaste figures out in the garage during a rainstorm without first double, no, triple checking that your roof doesn't leak. Because ours leaks. And I had no idea that it did. And I actually cried when I saw this. 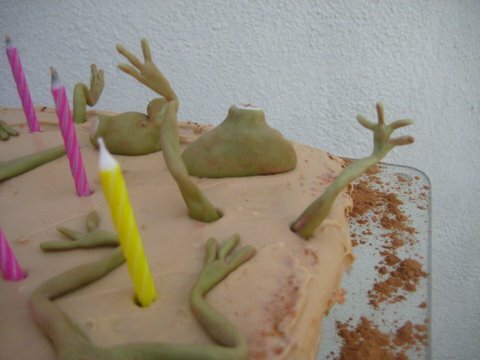 So my wonderful sister came over the next day and re-sculpted a cake full of frogs. Isn't she sweet? And I think the second batch turned out even better than the first. 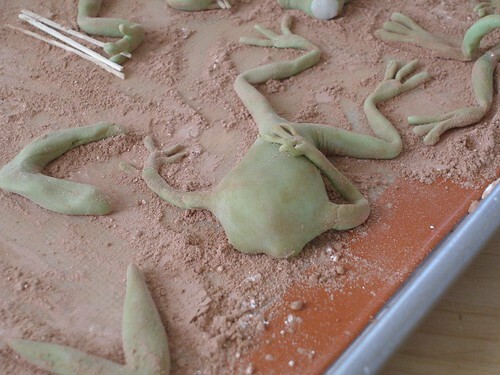 And while she was re-making them, Kam was nice enough to give a tutorial for just how to make this frog. 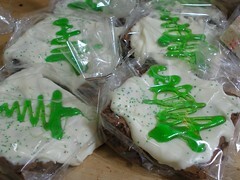 We used cocoa to keep them from sticking and also to give them a nice "fresh from the swamp" color. It totally worked. 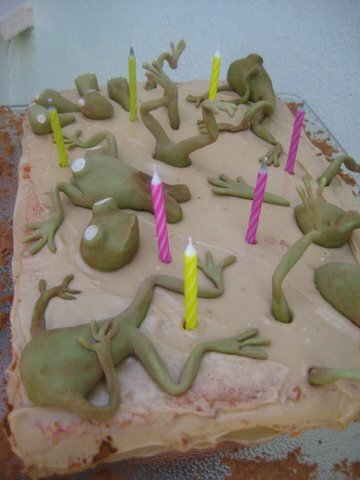 Aurora whipped up a sheet cake with some brown/pink cream cheese frosting and we just plunked the frogs down on it. And this last picture... technically that is one leg and one arm, but I stuck them in there like they were a pair of legs.